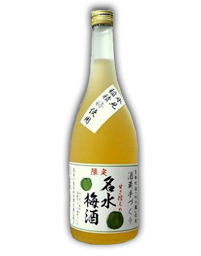 This Umeshu (Plum Liqueur) has as much as 30% of alcohol based on Sake. You can enjoy it with ice, soda or hot water in winter time. Contains lower sugar, it’s good for those who prefer dry plum liqueur. Using Inazumi plum, originated in Toyama locally.